A few years ago, we learned that the Hampden Family Center, a local community center, was in dire need of funding. 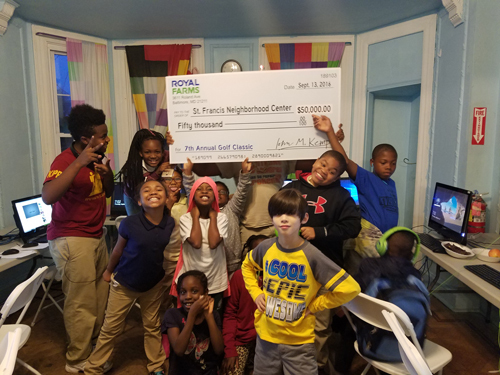 With the help of our terrific vendors, in just two months, we organized and held the First Annual Royal Farms Charity Golf Outing, which raised over $100,000. 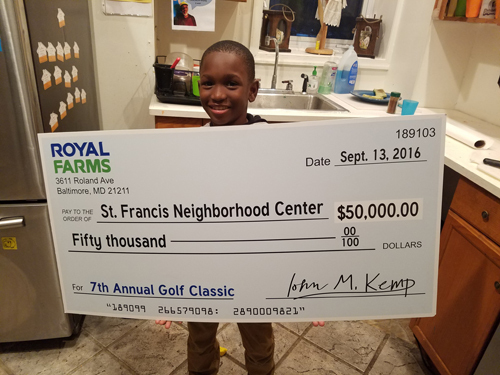 Since then, Royal Farms Annual Charity Golf Outing has given a total of over $450,000 to the Hampden Family Center, the Maryland Zoo in Baltimore, the Living Classrooms Foundation, and the St. Francis Neighborhood Center. 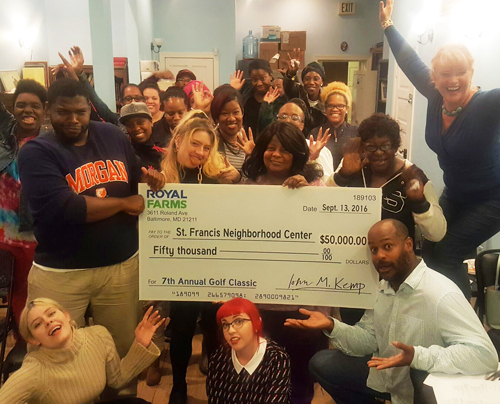 The 7th Annual Royal Farms Golf Classic raised $50,000 for the St. Francis Neighborhood Center. The Hamden Family Center was given $100,000, to help with construction costs for the renovations and additions to their center. Living Classrooms was given a check for $50,000 as well! 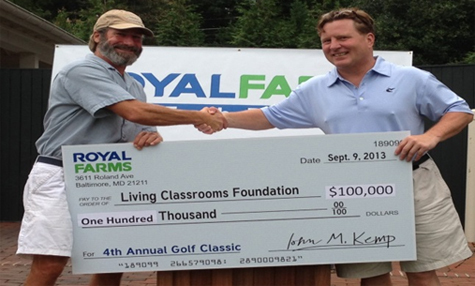 The 5th & 6th Annual Royal Farms Golf Classic raised $200,000 for Living Classrooms Foundation. Thanks to the generous support of our vendors, who work hard every day to keep our shelves stocked and provide the items we need to run Royal Farms. Thank you all. 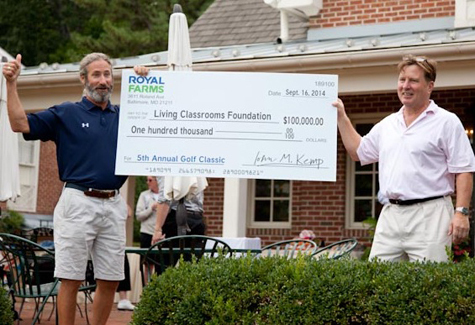 Royal Farms and its vendors have donated more than $200,000 to the Living Classrooms Foundation, recipients of the proceeds from the 3rd and 4th Annual Royal Farms Charity Golf Outing, in both 2012 and 2013. Pictured above are James Piper Bond, President of the Living Classrooms Foundation, and John Kemp, President of Royal Farms. 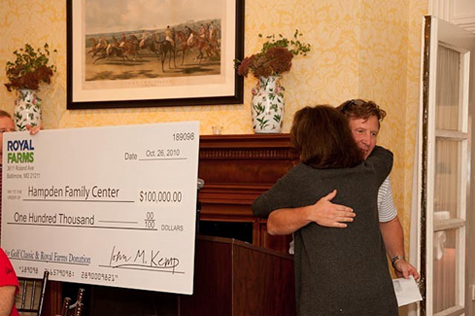 A $100,000 donation to the Hampden Family Center was made possible by the generosity of Royal Farms and its vendors, who participated in the 1st Annual Royal Farms Charity Golf Outing, in 2010. A $100,000 donation to the Maryland Zoo was made possible by the generosity of Royal Farms and its vendors, who participated in the 2nd Annual Royal Farms Charity Golf Outing, in 2011.